Hunting Camp Camo Pink Trim Cap | BUDK.com - Knives & Swords At The Lowest Prices! 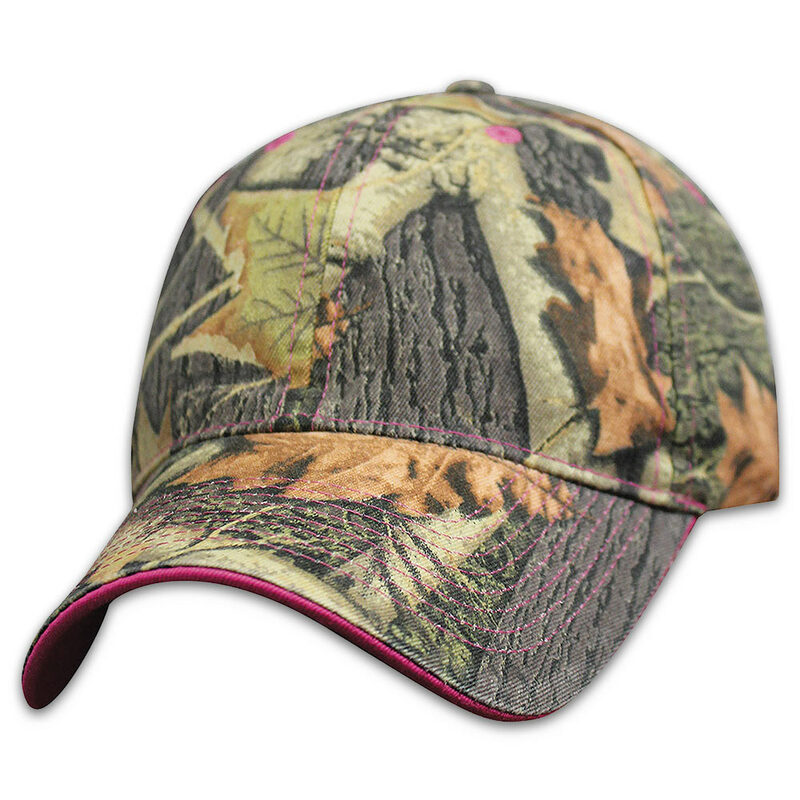 Ladies, the Hunting Camp Pink Camo Cap is just perfect to add to your hunting gear. You’ll look stylish when you’re out and about in this camo patterned, pink trim cap! This is a six-panel cap with a low crown and a buckram reinforced front. It is 100% cotton with a fabric sweatband and sewn eyelets. It has a brass buckle with a fabric strap closure.